Situated in Ungasan, this motel is 1.8 mi (2.9 km) from Garuda Wisnu Kencana Cultural Park and 3.1 mi (5 km) from Jimbaran Beach. Udayana University and New Kuta Golf are also within 3 mi (5 km). Situated in Denpasar, this motel is within a 10-minute walk of Bali Museum and Puputan Badung Square. Denpasar Market and Kasih Ibu Hospital Denpasar are also within 2 mi (3 km). 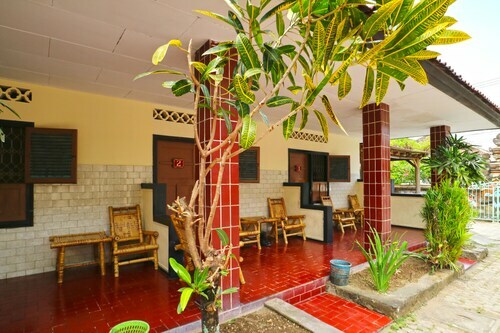 Located in Bukit, this motel is 1.1 mi (1.7 km) from Udayana University and within 3 mi (5 km) of Jimbaran Beach and Garuda Wisnu Kencana Cultural Park. Samasta Lifestyle Village is 1.8 mi (2.9 km) away. Located in Legian City-Centre, this motel is within a 10-minute walk of Poppies Lane II and Bali Bombing Memorial. Kuta Beach and Legian Beach are also within 15 minutes. We get it—spending a heap of money on a quick getaway seems like a tall order. But newsflash: you don’t have to fork over your firstborn to travel. You don’t even have to fork over half your salary. 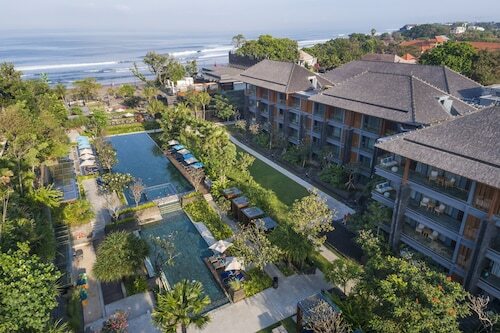 When you stay at a motel accommodation in Bali, your dream road trip or family holiday can quickly become reality. 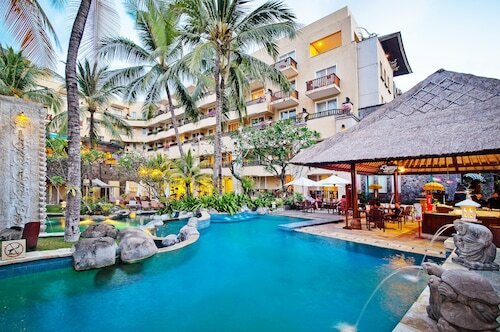 Bali cheap motels are a favourite among budget-conscious travellers, and it’s no wonder. Spending less money on your accommodation means more for splurging on adventures! When you stay at a budget motel, you can really stretch that budget of yours. Blissfully order another round of drinks or snag tickets to that show. You can even indulge in a fancy meal—you are on holiday, after all, so load up on the good stuff. When it’s time to turn in, crawl into your cosy bed and get a good night’s sleep. Let’s face it, no holiday is complete without your fur-baby in tow! Choose a pet-friendly motel in Bali and bring your four-legged (or two-legged…or scaled…or winged…) travel companion along for the adventure. Now that’s what we call a dream getaway.